Sole Proprietorship enables doing business in India with less Compliance and less Costing. It is the oldest, simplest, and most common form of business entity. It is the business owned by a single individual. For tax and legal liability purpose, the owner and the business are one and the same. 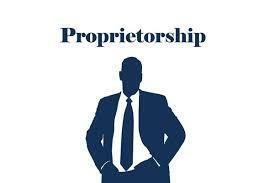 Proprietorship busineess is not taxed as separate entity. Greatest advantage of Sole Proprietorship form of business is its simplicity and low cost. Profits not subject to a second level of taxation.